Ashley is one of our Maritime ambassadors from Halifax who came to Proud Fertility as an experienced Surrogate. She is married and has two children, ages six and two. 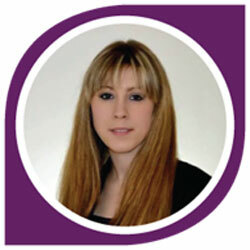 She is a certified Paralegal and her skills in this area are greatly beneficial for internal company legal documents. Also, having an extra eye to review surrogacy and egg donation legal agreements is a big asset. She also has extensive Management experience in the food and beverage industry. With her experience as a barista, her Proud Fertility colleagues are always looking to her to make her legendary Caramel Macchiato. She loves being able to spend the day with her children and still be able to serve her community. She will also be completing her Doula Certification in a few months’ time. Ashley is a case lead manager over surrogacy and egg donation journeys in the Maritimes. She enjoys the simple things in life and is eager to help anyone she can. Helping build families has been a childhood dream of Ashley’s and she is eager to help your family grow.